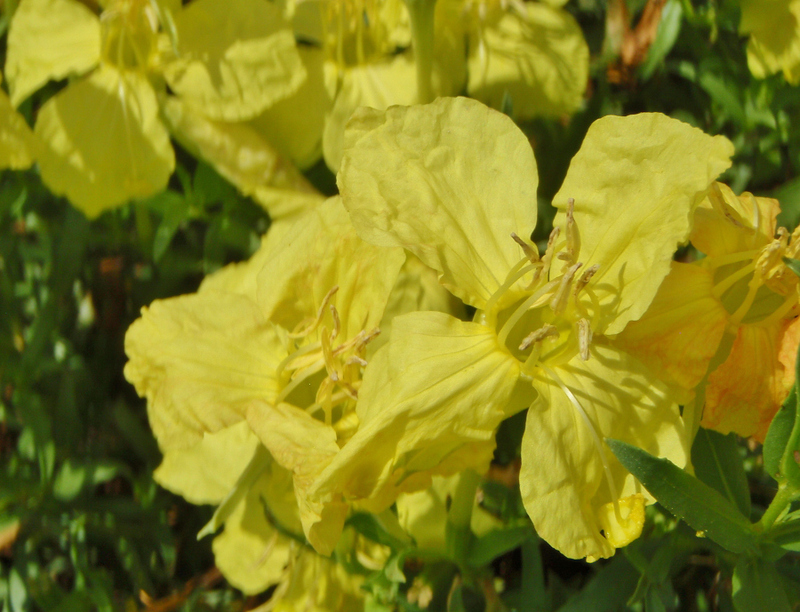 Ozona provides a perfect opportunity for the traveler to experience nature at its finest. The Country Variety Itinerary offers an assortment of options for you to tailor a day filled with beauty and peacefulness that fits your needs. 1. Begin your day with a tasty breakfast in one of Ozona's restaurants. Learn more about Ozona as you practice your skills with the Discover Ozona! GPS Crossword Puzzle Game (Estimated Time: 2 hours) As you locate the GPS coordinates provided you will find answers to help you complete the puzzle. It is recommended to use the buddy system, if possible. Stroll through the places where Ozona first began with the History on the Square Downtown Walking Tour (Estimated Time: 45 minutes) Each spot on the tour allows you to experience Ozona's foundations, from the site of the original Commissioners Court meeting to markers commemorating important people and events. Visit the award winning Crockett County Museum (Estimated Time: 1 to 1.5 hours) Dedicated to sharing and preserving the history of the area, the museum is home to three stories of exhibits and artifacts. Visit www.ozonamuseum.com for more information. Head east on Interstate 10 for approximately 16 miles and take Exit 381. Follow the road as it makes a 90 degree turn to the north and crosses over Interstate 10 to the intersection of Ranch Road 1312 in just a few hundred yards. Turn east, or right, onto Ranch Road 1312. Continue east on Ranch Road 1312 for approximately 5 miles to Ranch Road 2129. Turn north, or left, onto Ranch Road 2129. Continue on Ranch Road 2129 approximately 16 miles to the junction with US Highway 277. Be sure to notice the change in topography as you pass from the canyons and hills to the gently rolling farmlands at the southern edge of the Great Plains. Turn north, or left, on US 277. Continue north on US 277 for about 27-28 miles toward the small town of Christoval. You will pass through Eldorado in the first few miles. The terrain will return to rolling hills. 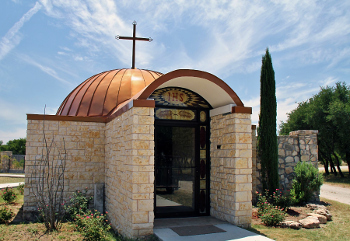 Mount Carmel Hermitage (Estimated Tour Time: 1 hour) The Hermits of the Most Blessed Virgin Mary of Mount Carmel are a contemplative community of men who live simply, working and meditating on the law of the Lord. Stroll the grounds, visit the chapel and relax in the peaceful atmosphere far from the demands of everyday life. Continue west on Allen Road for about 1.7 miles. Turn south, or left, on St. Joseph's Way. Continue south on St. Joseph's Way for about 1 mile to the Hermitage. 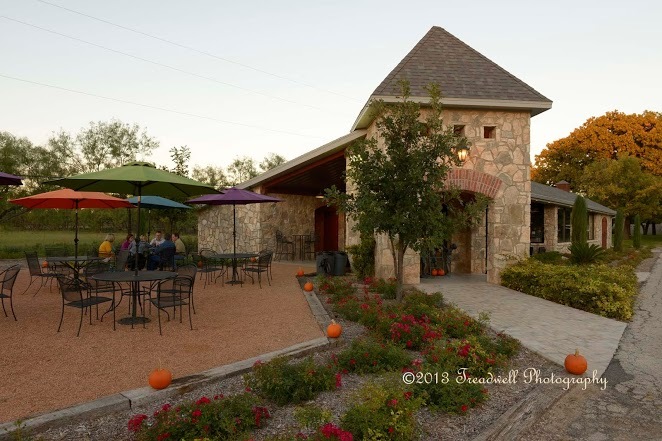 Christoval Vineyards and Winery (Estimated Tour time: 1 Hour) With over 25 acres of grounds, the Christoval Vineyards is a peaceful oasis along the banks of the South Concho River. Located at 5000A Cralle Road just north of the Concho River, turn west at Cralle Road (the intersection of US 277 and Loop 110. Take the second entrance on the right. Stroll the pecan shaded grounds, listen to the gentle breezes and chirping birds, and maybe catch a quick peek of one of the many squirrels that frolic in the area. The Tasting Room is open Thursday through Sunday from 11:30 a.m. to 8:00 p.m. Reservations are not necessary. Hummer House (Estimated Tour Time: 1 to 2 hours) May to August - Summer home to Texas' largest concentration of Black-Chinned Hummingbirds, many kinds of wildlife can be viewed from the Observation Room on Fridays from 7:00 p.m. to 9:00 p.m. and Saturdays from 9:00 a.m. to 3:00 p.m. beginning the first Friday in April and ending the last Saturday in August. Informative lectures for groups of 10 or more by owner, Dan Brown, may be scheduled for a fee Monday through Saturday May through August. Drive into downtown Christoval on Loop 110. This loop can be approached from the north across from Cralle Road, or from the south just south of the large bridge over the South Concho River. Turn east onto Church St. for one block. Turn south, or right, onto Ranch Road 2084, also known as Toe Nail Trail. Continue on Ranch Road 2084 for approximately 1.7 miles. The entrance to the Hummer House will be on the right. Return to US 277 and head south toward Eldorado. Continue south on US 277 for approximately 45 miles. When you reach Interstate 10, turn west toward Ozona, or right, and take entrance ramp onto the interstate. Continue west on I-10 for 7.5 miles. Take Exit 392 to Ranch Road 1989, also called Caverns Road. Turn south, or left, onto Ranch Road 1989. Continue south on Ranch Road 1989 for approximately 6 miles. Turn east, or left, at the entrance to the Caverns of Sonora on Private Road 4468. Continue east on the Private Road 4468 for about 1.5 miles to the caverns headquarters. 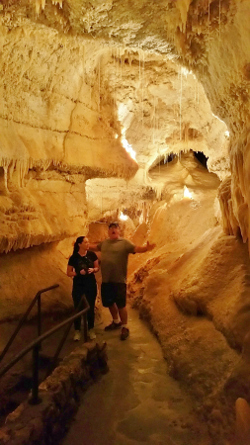 Enjoy a tour of the beautiful caverns filled with a myriad of spectacular formations. Guided tours are available from 9:00 a.m. to 5:00 p.m from the Tuesday after Labor Day until the end of February. From March 1st to Labor Day the hours are 8:00 a.m. to 6:00 p.m. Tickets must be purchased at least 30 minutes prior to the departure time. Visit www.cavernsofsonora.com for more information. Return to Ranch Road 1989. Turn north, or right, on Ranch Road 1989. Drive north on Ranch Road 1989 for 6 miles to Interstate 10. Turn west, or left, onto the entrance ramp for Interstate 10. Continue west on Interstate 10 for 27 miles to Exit 365. 7. Enjoy a delicious meal at one of our local restaurants and then settle in for a good night's sleep in one of our lodging establishments to prepare you for another day of exploring one of Ozona's many local attractions. 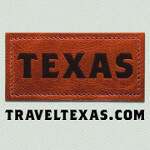 Be sure to visit our itinerary page for even more exciting activities and trips!